The final weekend of the Winter Olympics means that the action is (ironically) hotting up. There are big events still to take place, multiple gold medals still to give out and plenty of winners to crown. Could Team GB have a chance of a medal in Curling? It’s all happening this weekend. The Winter Olympics 2018 Closing Ceremony will air on Sunday, February 25th at 11am-1pm. 01:00: Penny Coomes and Nick Buckland – ice dance short dance. 11:05-14:00: Mens curling semi-final (if Team GB qualify). Team GB Olympians Jamie Nicholls and Billy Morgan compete for qualification in the men’s slopestyle snowboarding. Triple world champion and Team GB athlete Elise Christie will launch her bid to finally win an Olympic Gold after a nightmare games at Sochi in 2014, in which she was disqualified from all three competitions. Amanda Lightfoot will be contesting the 7.5km event for Great Britain. Adam ‘AJ’ Rosen and Rupert Staudinger are the first Brits to compete in the Men’s Luge since Vancouver 2010. Annika Taylor will make her GB Olympic debut in the women’s 15km skiathlon. Jamie Nicholls and former Olympic finalist Billy Morgan will compete for Team GB. Aimee Fuller competes for Team GB. Andrew Musgrave competes for Team GB in his third Olympics so far, chasing his first medal. Callum Smith will also race the skiathlon. Adam ‘AJ’ Rosen and Rupert Staudinger compete for Team GB as outside medal contenders. Aimee Fuller competes in the women’s slopestyle event. Alex Tilley will compete for the first time in the Olympics in th giant slalom. Amanda Lightfoot is Britain’s hope for the women’s 10km pursuit. Elise Christie’s second event after her disappointing disqualification at Sochi 2014, in which she is the current world champion and world record holder over 500m. Farrell Treacy and Joshua Cheetham will compete for the first time in the games with the speed skating qualifiers. This is the third Olympics for Team GB’s Andrew Young, who is competing in the men’s cross-country. Annika Taylor competes in the cross country women’s individual classic. GB men’s curling team – Kyle Smith (skip), Kyle Waddle, Cammy Smith and Thomas Muirhead (plus alternate Glen Muirhead) may be in for a chance of a medal as they begin their Olympic bids against Switzerland and reigning Olympic champions Canada. The GB women’s curling team – Eve Muirhead (skip), Anna Sloan, Vicki Adams and Lauren Gray (plus alternate Kelly Schafter) will begin their campaign for a medal against Olympic athletes from Russia. Alex Tilley and Charlie Guest will compete in the women’s slalom for Team GB. Amanda Lightfoot’s third competition for Team GB, the women’s 15km individual event. Dom Parsons will compete in his second Games and Jerry Rice his first for Team GB in the men’s skeleton. The Team GB Women’s curling team will face the USA and China. The Team GB men will take on Japan. Annika Taylor will compete for Team GB in her third event of the Winter Games. British gold medal holder Lizzy Yarnold returns to defend her crown, while her highly ranked team mate Laura Deas competes in her first games. British hopes Andrew Musgrave, Andrew Young and Callum Smith will compete in the men’s 15km free event. Dom Parsons and Jerry Rice are set to compete in the men’s Skeleton finals. The men’s curling team will face champions of Europe, Sweden. Zoe Gillings-Brier will hunt a medal in her fourth Games. Team GB is bringing its biggest ever Winter Olympics team to PyeongChang 2018. 59 athletes from Great Britain will be competing in the 2018 Winter Olympics next month after The British Olympic Association announced its largest-ever delegation today. 56 Olympians competed in the last Winter Olympics in Sochi, where Great Britain equalled its Winter Games record of four medals. In 2010, 52 British athletes travelled to Vancouver for the Winter Games. The 2018 team comprises 34 men and 25 women, with 33 competing on ice and 26 on snow. The 59 will compete in 11 of the 15 available disciplines, including alpine skiing, biathlon, bobsleigh, cross-country skiing, curling, figure skating, freestyle skiing, luge, short track speed skating, skeleton and snowboarding. 11 of the 59 athletes will compete in the freestyle skiing team, which includes the team’s youngest athlete 19-year-old Izzy Atkin. The athletes include Sochi 2014 medallists Lizzy Yarnold (skeleton gold), Eve Muirhead (curling bronze), Anna Sloan (curling bronze), Vicki Adams (curling bronze), and Lauren Gray (curling bronze). Team GB Chef de Mission Mike Hay said: “With the team fully selected for PyeongChang 2018, I’m delighted to welcome all 59 athletes to Team GB. It’s a great milestone in our preparations for the Games to know our complete delegation travelling out to South Korea and the countdown is now firmly on for the Opening Ceremony on 9th February. The Winter Olympics 2018: When is it, where is it and where can I watch it? The biggest event in winter sports is back as Great Britain aim to achieve their largest ever winter medals haul. 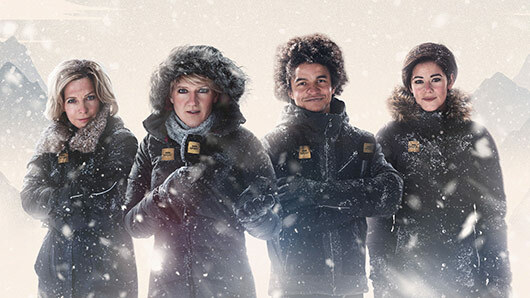 Here’s everything you need to know about the upcoming 2018 Winter Olympic games, including when it is, where it is and how to watch it live in the UK. The Winter Olympic Games is an international sporting competition held every four years for sports involving snow or ice. It was first held in 1924 in France. The last Winter Olympics took place in Sochi, Russia in 2014. The games included 98 events in 15 different winter sport disciplines. Great Britain won four medals, in curling, skeleton and women’s slopestyle. The Sochi 2014 Olympics were the most expensive in history, with costs more than three times that of London 2012. Winter Olympians will compete in the following sports: Curling, Ski Jumping, Figure Skating, Freestyle Skiing, Cross-Country Skiing, Women’s Hockey, Snowboarding, Speed Skating, Alpine Skiing, Biathlon, Luge, Short Track, Skeleton, Bobsled, Men’s Hockey and Nordic Combined. Where is it being hosted? The city of Pyeongchang, 100 miles east of Seoul in South Korea, will stage the winter games. This is South Korea’s first time hosting the winter games, although it did host the summer Olympics in 1988. When and where is the opening ceremony? 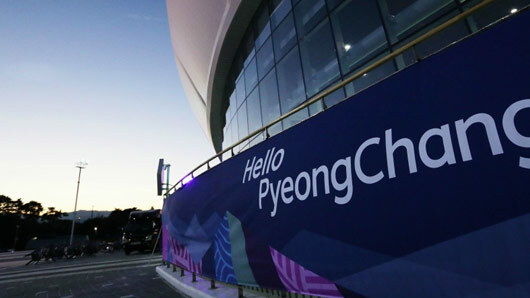 The opening ceremony takes place in Pyeonchang on Friday, February 9 at 8pm local time (11am GMT). Who are the biggest British hopes for the games? Last Winter Olympics in 2014 proved a great haul for Great Britain, which equalled its best-ever haul of four medals in 1924. Great Britain will be looking to outperform this personal best with around 60 athletes taking part in the 2018 games. Notable British names to look out for are speedskater Elise Christie, who won three gold medals and one bronze at the 2017 World Championships. Lizzy Yarnold won the skeleton Winter Olympic Gold in 2014 and returns in good form to defend her title. Elsewhere, the Team GB Women’s curling team won bronze in the 2014 Olympic Winter Games and will be looking to up their game. The 2018 Winter Olympics will air live in the UK on both the BBC and Eurosport. BBC coverage will include live coverage on television, red button, online and by mobile app. Tom Daley has thanked his fans for their support after winning the bronze medal in Rio for the men’s synchronised 10m platform event. Speaking on a video recorded for Good Morning Britain, Daley said: “Hi everyone at Good Morning Britain. I just wanted to say a massive thank you for the support. Daley and diving partner Dan Goodfellow snatched third place in a tense final few minutes, after the pair were scheduled to dive last. They were visibly delighted when their efforts scored an 89.64, meaning they had overtaken Germany’s Patrick Hausding and Sascha Klein to win third place. Favourites Lin Yue and Chen Aisen, of China, won gold by a significant margin; while US team David Boudia and Steele Johnson won silver. Daley has become one of the Team GB’s most famous athletes after taking part in Beijing 2008 aged just fourteen. Daley went on to win bronze at London 2012’s individual 10m platform event. Since his breakout sporting success, Daley has gone on to appear in several television series, including two series of ITV’s Splash!, in which he provides expert advice to celebrity divers. Coverage of the Olympics airs daily on the BBC. Catch Tom’s individual event on August 19 and 20.